System administration is about the design, running and maintenance of human-computer systems. Examples of human-computer systems include business enterprises, service institutions and any extensive machinery that is operated by, or interacts with human beings. System administration is often thought of as the technological side of a system: the architecture, construction and optimization of the collaborating parts, but it also occasionally touches on softer factors such as user assistance (help desks), ethical considerations in deploying a system, and the larger implications of its design for others who come into contact with it. 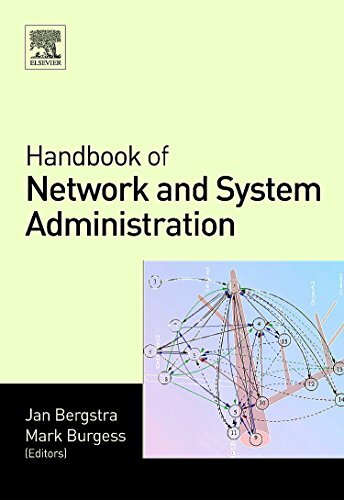 This book summarizes the state of research and practice in this emerging field of network and system administration, in an anthology of chapters written by the top academics in the field. The authors include members of the IST-EMANICS Network of Excellence in Network Management. This book will be a valuable reference work for researchers and senior system managers wanting to understand the essentials of system administration, whether in practical application of a data center or in the design of new systems and data centers. Jan Bergstra is a professor of computer science at the University of Amsterdam, a part time professor of applied logic at Utrecht University (both NL) and he is a honorary visiting professor with the University of Swansea (UK). His main resarch interest has been computability theory, process algebra and abstract data types, but he worked in many other aspects of computer science as well, including in particular decidability problems that arise in the theory of computer virusses. He is a member of the Academia Europaea. He is currently managing editor of 'Science of Computer Programming' and the 'Journal of Logic and Algebraic Programming'.